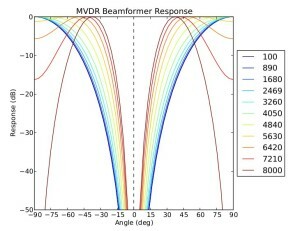 Beamsteering is the changing of the main lobe of a broadband beamformer’s response. This allows directional reception and spatial selectivity. With a beamformer that can steer, the user can actively select which sources to listen to while effectively blocking other signals coming from outside the direction of interest. 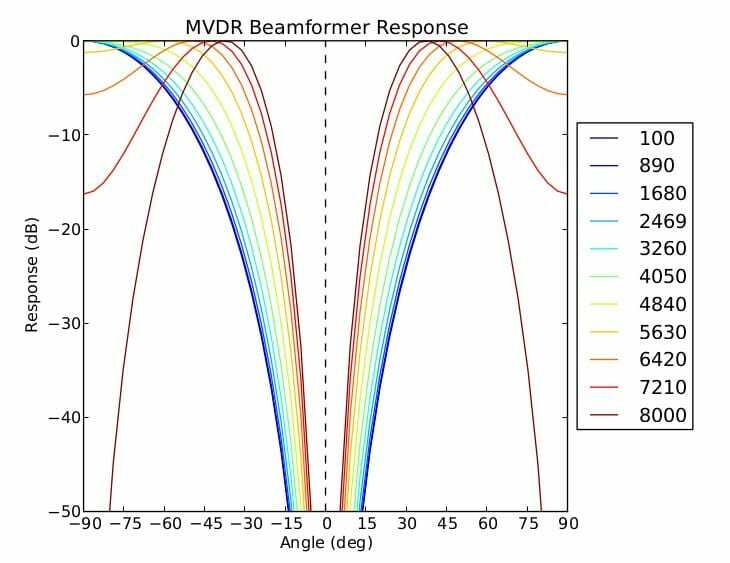 Here we demonstate the use of beamsteering in the MVDR Broadband Beamformer. becoming narrower at high frequencies. 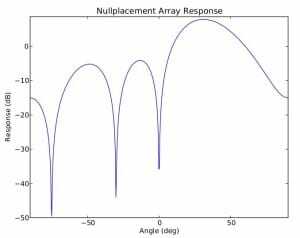 As the figure illustrates, the beampattern is exhibits nulls at these desired frequencies while attempting to maximize the gain outside these frequencies. 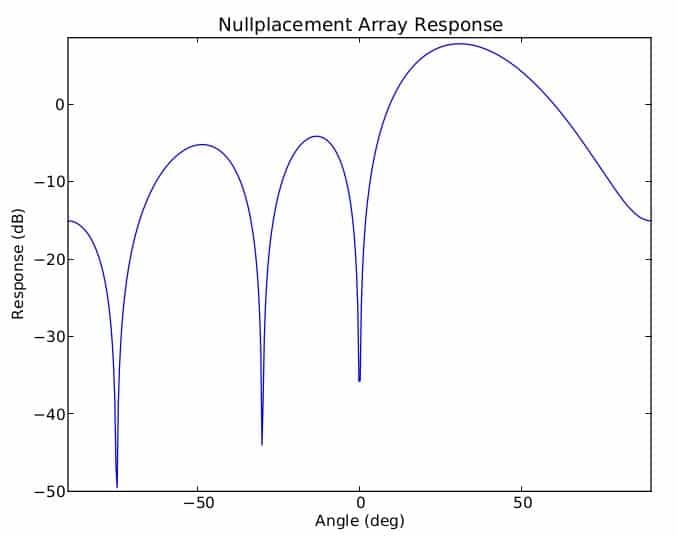 VOCAL Technologies offers custom designed data adaptive beamforming solutions, with MVDR filters as a potential front end. Our custom implementations of such systems are meant to deliver optimum performance for your specific signal processing task. Contact us today to discuss your solution!